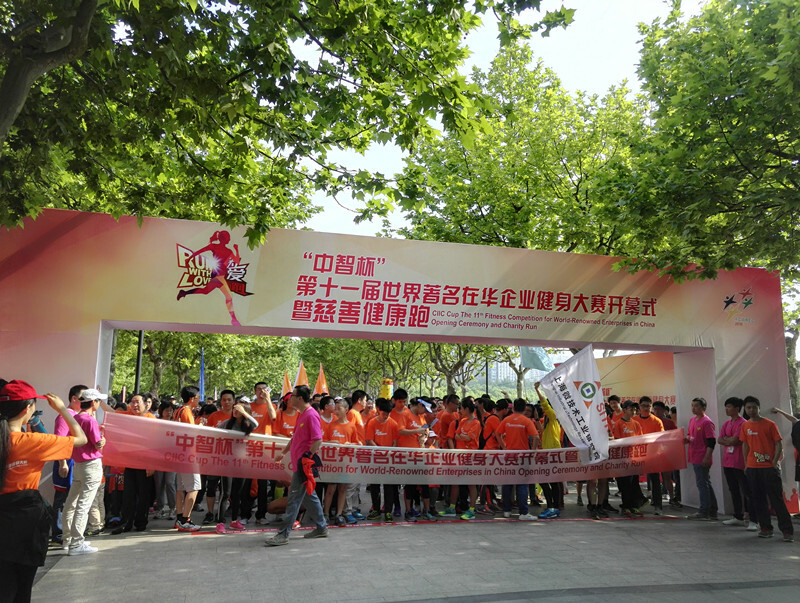 On May 15, CMC collaborated with COFCO Womai.com in co-sponsoring the 11th Charity Run in Shanghai Century Park. The event was organized by a major Chinese State-owned Group, China International Intellectech Corporation. 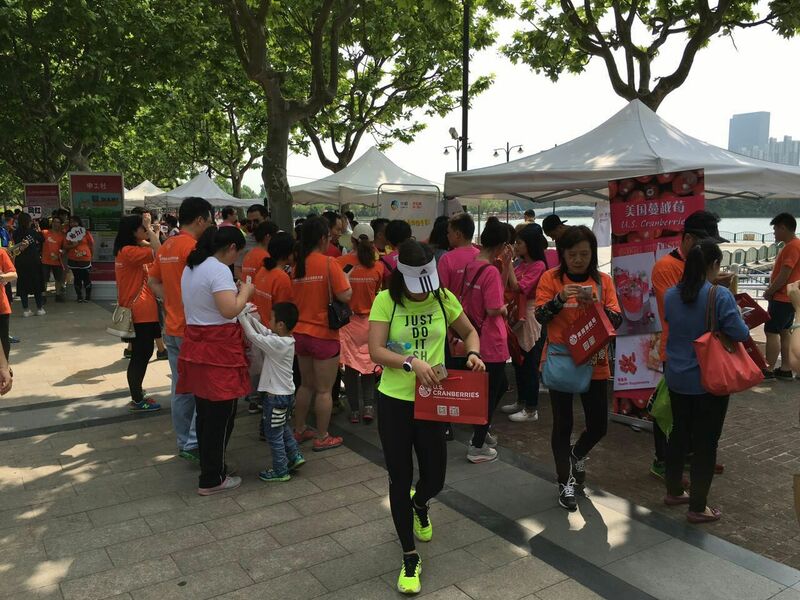 About 6000 white-collar employees from 300 world renowned enterprises in China, including Intel, Philips, 3M, and Mitsubishi etc, participated in the 3-mile run. The runners were also encouraged to bring their friends and families as spectators. Because of this, the total number of people who turned up for the event, including bystanders, reached approximately 20,000. Sponsors were allowed space to set up booths for interacting with the participants and the people they had invited. CMC and Womai.com set up a 9 square meter booth to have games for the people who came and offered gifts to them. 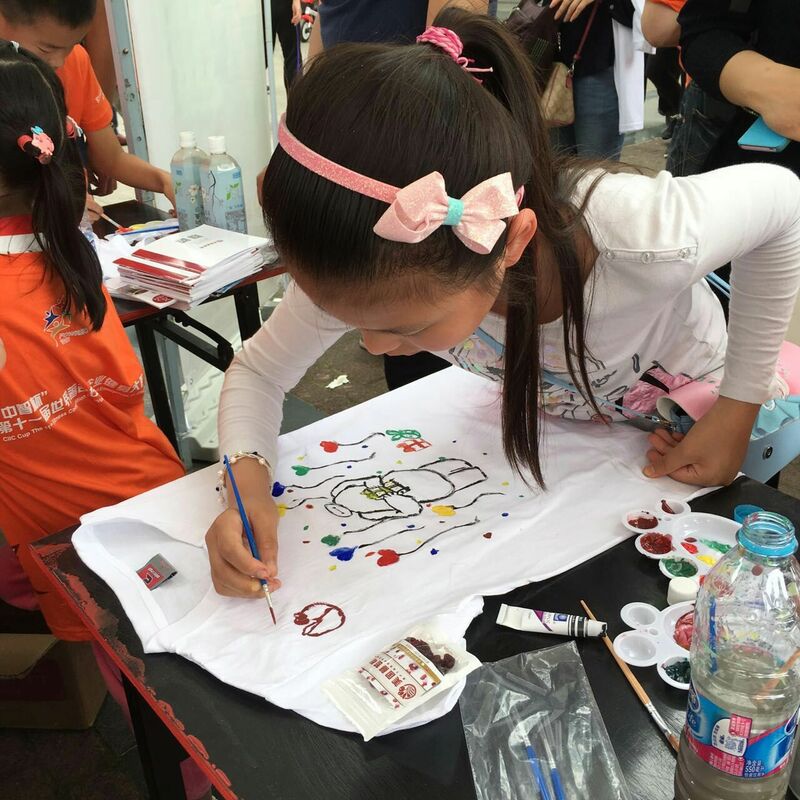 Parents and kids were given white t-shirts with CMC’s and Womai’s logos on which they could draw graffiti or anything with the only condition that a CMC logo had to be incorporated. Womai.com gave away RMB15 cash coupons to encourage purchasing cranberry products online. 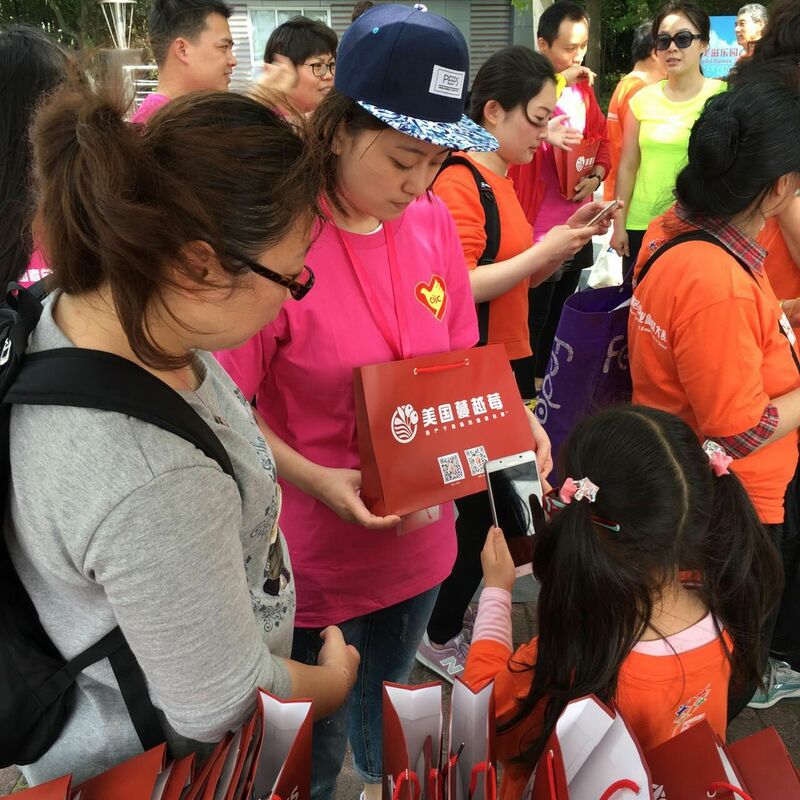 Those who scanned CMC’s QR code and became followers of CMC’ Wechat were also given gift packs containing dried cranberries and recipe books. The CMC and Womai booth was decorated by two stand-alone posters showing cranberries’ different product variants and their health benefits. CMC logos appeared on the backdrop of the event’s main stage as well as the entrance tickets. Reporters from most of Shanghai’s major media were present at the scene to report the event. To get more publicity, Womai.com published materials related to the event on its Weibo (1.3 million followers) and CMC reposted it. Additionally, CMC released a post-event report on Wechat. COFCO is the largest manufacturer, processor, and trader of agricultural products in China. Womai.com is a business-to-consumer e-commerce website invested by COFCO. Currently, Womai.com has more than 40 thousand SKUs of domestic and imported products, including several brands of cranberry products. Its sales value reached RMB 2.0 billion by the end of 2015.